Objective: To explore the effects of Xiaoban Decoction to prevent the glucocorticoid (GC) with-drawal syndrome. Methods: Xiaoban Decoction was given to 108 immune thrombocytopenia (ITP) patients who have been treated with GCs. Glucocorticoid therapy was then stopped abruptly. Blood samples was taken around 8 am before and after the abruptly termination of glucocorticoid therapy. Adrenocorticotropic hormone (ACTH) and cortisol (Cort) levels were then determined. Clinical manifestations of adrenal crisis, withdrawal symptoms and relapse of ITP were carefully monitored. 37 cases were followed up for theirs ACTH and cortisol levels. Results: Among the 108 cases, 62 cases (57.4 percent) had adrenal insufficiency (AI) before stopping the glucocorticoid therapy (8 am cortisol level less than 30 µg/L). 13 (12 percent) cases had highly suggestive of AI (8 am cortisol level between 30 - 50 µg/L). 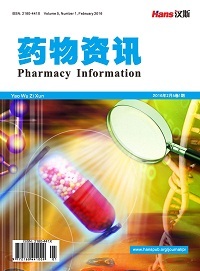 After treatment with Xiaoban Decoction and termination of glucocorticoid, 66 cases had withdrawal syndrome. Among them, 62 cases were mild, 4 cases moderate and no patient withdrawal crisis. 11 had ITP relapse. Conclusions: Xiaoban Decoction is an independent Chinese medical treatment option for ITP. It doesn’t need to be used with glucocorticoid. It has strong effects in protecting the adrenal glands. Xiaoban Decoction can restore the adrenal gland’s function after it’s suppressed by external glucocorticoid. It can lessen the glucocorticoid withdrawal symptoms and prevent the occurrences of adrenal crisis. Rebecca, M.J., Ann, L.H., David, W.R. et al. (2016) Systemic Glucocorticoid Therapy and Adrenal Insufficiency in Adults: A Systematic Review. Seminars in Arthritis and Rheumatism, 46,133-141. Neunert, C., Lim, W., Crowher, M. et al. (2011) The American Society of Hematology 2011 Evidence-Based Practice Guideline for Immune Thrombocytopenia. Blood, 117, 4190-4207. Tiemensma, J., Andela, C.D., Pereira, A.M. et al. (2014) Patients with Adrenal Insufficiency Hate Their Medication: Concerns and Stronger Beliefs about the Necessity of Hydrocortisone Intake Are Associated with More Negative Illness Perceptions. The Journal of Clinical Endocrinology & Metabolism, 99, 3668-3676. 陈灏珠, 林果为, 王吉耀. 实用内科学[M]. 14版, 北京: 人民卫生出版社, 2013: 1196, 1156-1161, 1191-1197, 1100-1155. 苏尔云, 赵毅, 黄丽华, 等. 消斑饮治疗原发性免疫性血小板减少症119例临床观察[J]. 中国中西医结合杂志, 2017, 37(2): 179-183. Rodeghiero, F., Stasi, R., Gernsheimer, T., et al. (2009) Standardization of Terminology, Definitions and Outcome Criteria in Immune Thrombocytopenic Purpura of Adults and Children: Report from an International Working Group. Blood, 113, 2386-2393. 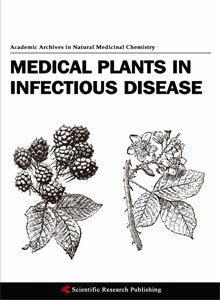 Novoa, P. de M., Vela, E.T., Garcia, N.P., et al. (2014) Guidelines for Diagnosis and Treatment of Adrenal Insufficiency in Adults. Endocrinología y Nutrición, 61, 1-34. Rodeghiero, F., Michel, M., Gernsheimer, T., et al. (2013) Standardization of Bleeding Assessment in Immune Thrombocytopenia: Report from the International Working Group. Blood, 121, 2596-2606. Ronald, H., Edward, J.B.J., Sanford, J.S., et al. (2001) Hematology Basic Principles and Practice. 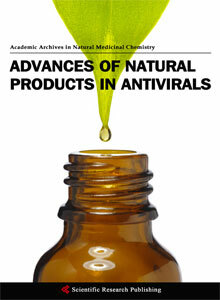 3rd Edition, Science Press, Beijing, 2096-2114. Quinkler, M., Beuschlein, F., Hahner, S., et al. (2013) Adrenal Cortical Insufficiency—A Life Threatening Illness With Multiple Etiologies. Deutsches Ärzteblatt International, 110, 882-888. 沈自尹. 从垂体——肾上腺轴讨论阴阳常阈调节论[J]. 上海中医药杂志, 1979(5): 3-7. 沈自尹, 黄建华. 从淫羊藿激活内源性干细胞探讨“肾藏精”的科学涵义[J]. 中医杂志, 2010, 51(1): 8-10. 查良伦, 沈自尹, 张晓峰, 等. 生地对家兔糖皮质激素受抑模型的实验研究[J]. 中西医结合杂志, 1988, 8(2): 95- 97. 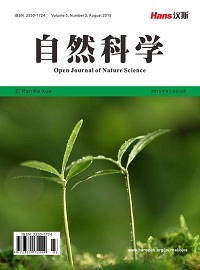 Zhong, R.Z., Yu, M., Liu, H.W., et al. (2012) Effects of Dietary Astragalus Polysaccharide and Astragalus membranaceus Root Supplementation on Growth Performance, Rumen Fermentation, Immune Responses, and Antioxidant Status of Lambs. Animal Feed Science and Technology, 174, 60-67. 邓毅, 张明, 任鹏飞, 等. 甘肃岷归对去卵巢更年期模型大鼠雌性激素的影响[J]. 中药药理与临床, 2013, 29(4): 103-105. 柳忠辉, 杨贵贞. 人参皂甙通过垂体——肾上腺轴调整应急期NK细胞的受抑作用[J]. 中国免疫学杂志, 1991, 7(1): 45-48. 沈自尹, 董竟成, 蔡定芳, 等. 改善肾上腺皮质功能在某些疾病恢复过程中的重要作用[J]. 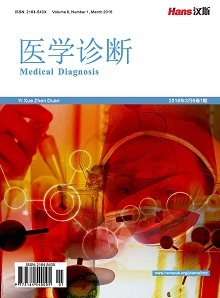 中国中西医结合杂志, 2007, 27(4): 364-367. 沈自尹, 陈瑜, 黄建华, 等. EF延缓HPAT 轴衰老的基因表达谱研究[J]. 中国免疫学杂志, 2004, 20(1): 59-62. 牛晓晖, 李鹏飞, 贾雪婷, 等. 中国鹿科动物源药材药理作用十年研究进展(二) [J]. 吉林中医药, 2012, 32(7): 702-704. 王鹏程, 王秋红, 赵珊, 等. 商陆化学成分及药理作用和临床应用研究进展[J]. 中草药, 2014, 45(18): 2722-2731. 马海珍, 刘蓓, 郭鸿, 等. 墓头回诱导脐血基质细胞分泌因子的作用[J]. 兰州大学学报(医学版), 2008, 34(2): 8- 10. 张宝恒. 甘草药理作用研究的进展[J]. 药学学报, 1963, 10(11): 688-700. 吴宗耀, 牛索义, 梁喜爱. 甘草化学成份及药理作用分析[J]. 河南中医, 2010, 30(12): 1235-1236.